Hi everyone – great news! 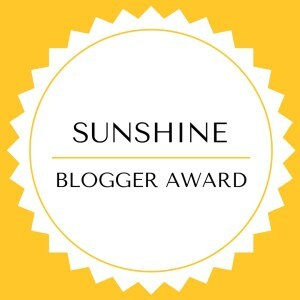 I was recently nominated for the Sunshine Bloggers Award by Sarah from http://suitcasesix.com/. My 2nd nomination in a week and I am really excited! Sarah’s blog brings a fresh perspective that career and travel need not be mutually exclusive and in fact can support each other beautifully. In Suitcase Six, she shares her as well as her 5 friends’ journey as they travel the world and balance their career. You should definitely check out her blog for some fresh inspiration and outlook. 1. Why did you choose the topic for your blog? Travelling has always been more than just visiting some attractions for me. I always enjoyed discovering off-beaten places and understanding the local culture. Eventually, I realized that most of the intolerance we have in today’s world is because we don’ understand habits and customs from different cultures. Thus began The Other Side Forever as an attempt to discover unique stories, cultural insights, local’s secrets and narrate honest travel stories. 2.How long have you been blogging? About a year or so, I guess, quite irregularly though. I do plan to start blogging more regularly. 3.When you’re not blogging, what are you doing? I have a Masters degree in Applied Economics and some experience in Marketing. I am just about to enter the job market and start my full-time job in Digital Marketing and strategy. I also enjoy sports and reading books. 4.What do you wish you could tell other women starting their careers? Don’t be afraid to take a leap into something unknown. Even if the society pushes you towards a certain job, try to figure out what kind of things really interest you. Most importantly, keep upgrading your skills and never stop learning new things. 5.What are you most proud of to this point? I guess the fact that I actually managed to start my own blog. I am originally from India and solo travelers and blogger are much less common there (although it is increasing) but thanks to the support of my loving family and friends, I have actually managed to launch my own blog. 6.If you could learn one thing, what would it be? Oh, so many things! I would love to learn photography professionally, take a scuba diving course, take my level II kayaking certification, learn more of SEO skills, the list goes on..
7.Where would you most like to travel to next? Philippines and China. I have been dreaming about these two beautiful countries for way too long now. 8.What is your biggest challenge as a woman? Probably safety. The fact that I have to always consider how safe a place is really affects your life. It affects me when I am travelling or living in a country. 9.What is your biggest strength as a woman? Multi-tasking perhaps. Being a woman has always given me the mental strength to handle multiple things at the same time. 10.Who is one of your role models? So many people really. Many of them are travel bloggers or writers. Other than those, I am personally a fan of Elon Musk! 11.What is one of your long-term goals? Become a professional travel blogger and form a community that inspires men and women to travel meaningfully. Stanito from https://travelwithstanito.com/.This blog is all about travelling to off-beaten and exotic places that you have never heard of and clearing misconceptions about many countries. Catrin from https://travelingfemale.com/. You are going to love the look and feel of her blog. She is a 24 year old woman balancing career and travel perfectly! Michaela from https://thisfpplanet.com/. No one can help but fall in love her pictures. From the corners of Iceland to Lithuania, her blog extensively covers Europe and more. A visual treat for any reader. Katie from https://www.featherytravels.com/. Originally from Dorset (England), she shows the world that nothing should stop us from pursuing our dream to travel. Her stories on volunteering all across the world will surely touch your heart! Anna from http://greatnomad.com/ . Her blog about travel and entrepreneurship will ignite a fire in your soul. She is on a mission to defy limiting beliefs through her bold stories. Claudia from http://www.myadventuresacrosstheworld.com/ . In her colourful blog, Claudia documents her honest travel journeys. She believes in doing everything the local way and believes that traveling is the best way to learn about different cultures. Emma from http://www.theweekendabroad.com . As the name suggests, much of her blogs are focussed on weekend journeys. Having travelled as a student for a long time, she shows the world how to travel affordably. Natasha from https://thebohochica.com/ . Dubai based travel write Natasha’s blog brings amazing photography and stories from around the world. She believes traveling is about what a place makes us feel, what we leave behind and what we take back from a place! Jasmine from http://www.mysuitcasejourneys.com/. Just one simple look at her blog is all it takes to fall in love with her work. From her adventures to great reviews and tips, she has it all! A twenty something girl out there to conquer the world and we love it. Aisha from http://islandgirlintransit.com/. Crazy carnivals, untouched beaches and so much more. Aisha takes you on a journey to discover the Caribbean like none other! What was the biggest challenge you encountered when you started blogging? What are some of your other interests except blogging? What is the one thing in life you are really grateful for? What are 3 things that you can’t travel without? If you had no monetary and visa constraints, which country would you like to try living in? Have you ever taken a spontaneous trip? If yes, what did you learn from it? Among the destinations you have visited, what is that one place you could keep going back to? If you had to eat one cuisine for the rest of your life, what would it be? Once again thank you Sarah for your generous nomination and congratulations to my nominees. Hope you lovely ladies keep travelling and conquering the world!